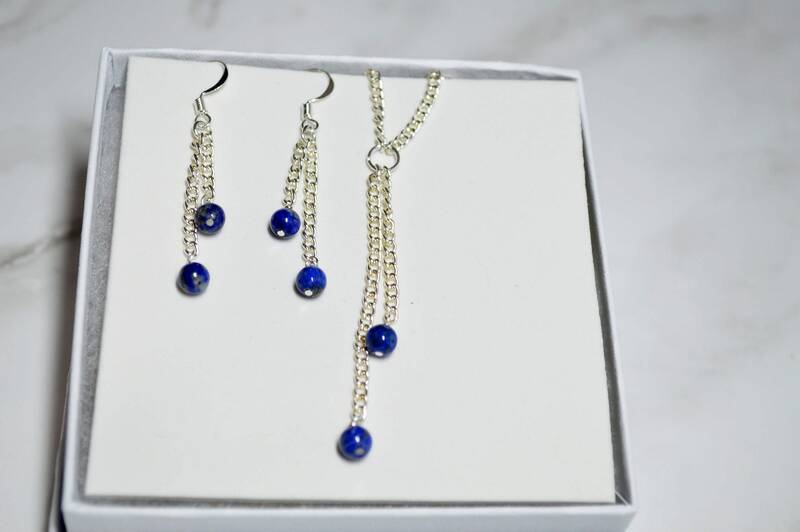 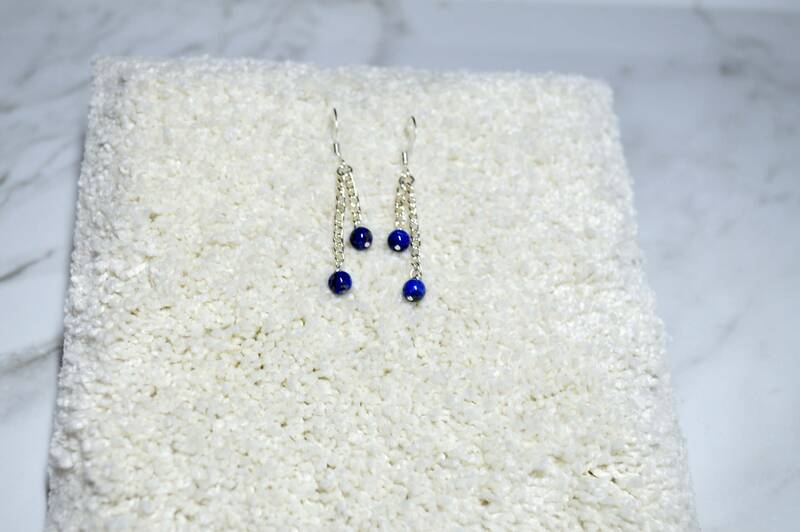 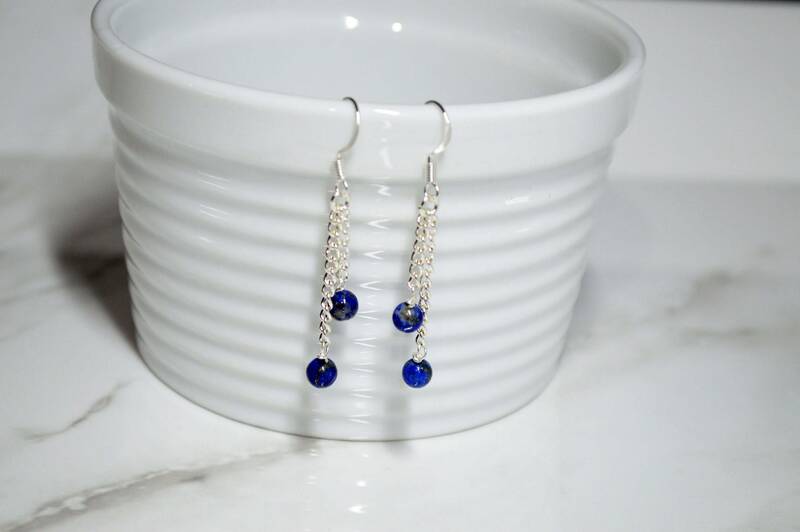 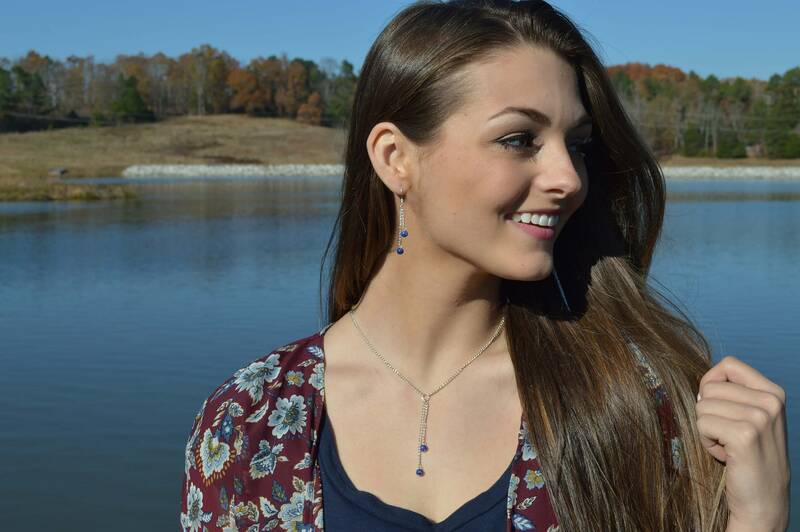 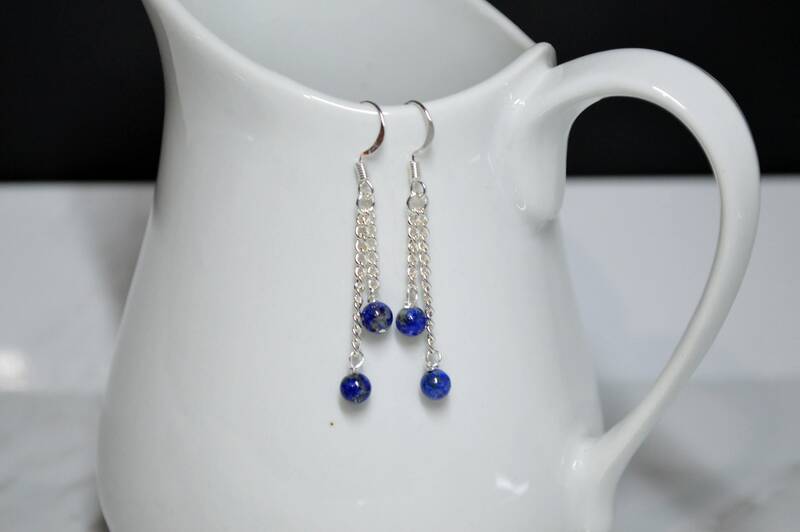 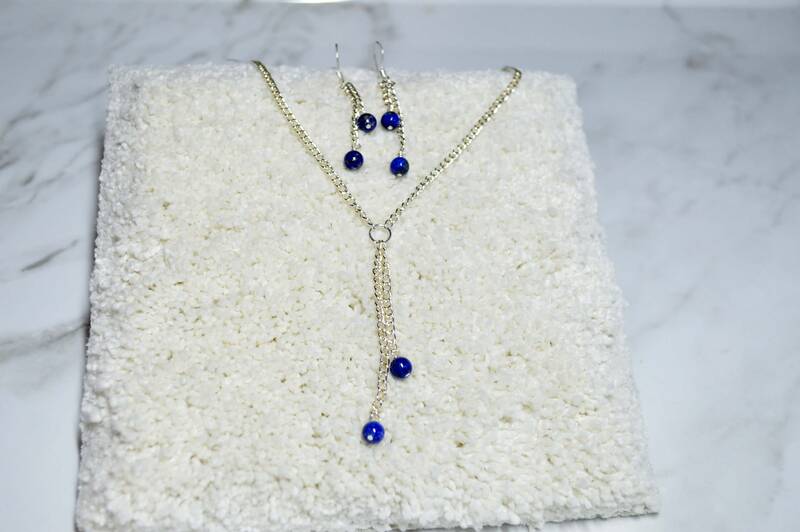 These Delicate double drop earrings feature two small lapis lazuli gemstones suspended from sterling silver chain. 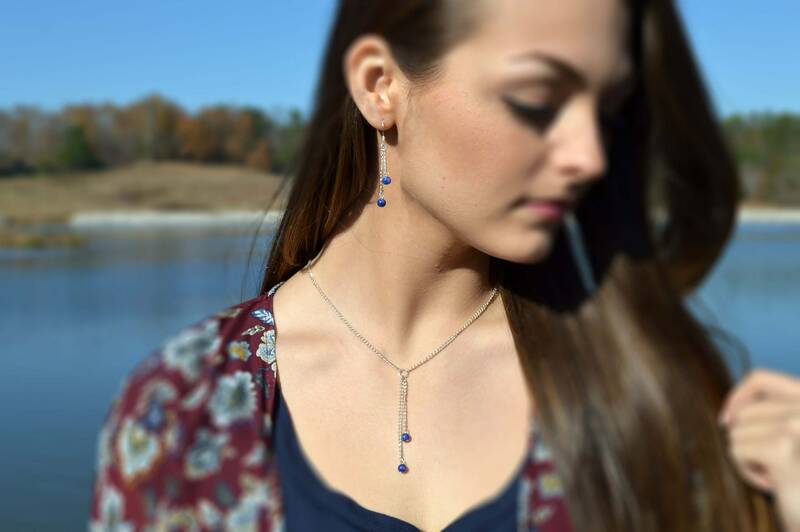 You'll love how this style and color combination blends with so many of your outfits - business or casual! 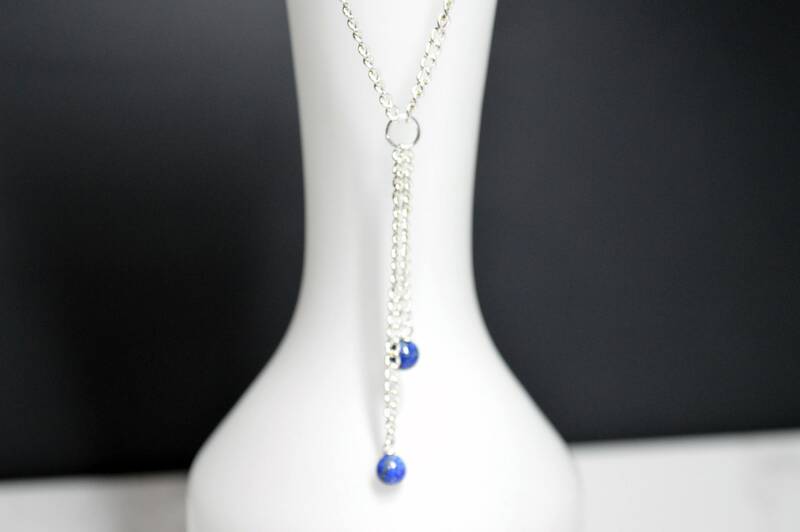 Some believe this gemstone helps bring inner peace and clears the mind of negative thought patterns and who couldn't benefit from that?